Gotsa Family Wines is the small winery of Beka Gotzadze and his family. Beka works biodynamic and makes natural wines that are as unique as his own personality. Beka used to work as an architect. A few years ago he decided to take a different approach to his life: he became a full-time winemaker. He set up his own wine cellar, high in the mountains near Tbilisi, because here it is cool all year round and the wines slowly ferment and mature. Beka does not add anything, he does not clear and does not filter his wines. They ferment and mature in 'qvevri', large clay pots, burried in the ground. The whole family is cooperating. Production is limited to a few thousand bottles per year. The result are very characteristic natural wines. Beka has planted fifteen different Georgian grape varieties and he is experimenting a lot. 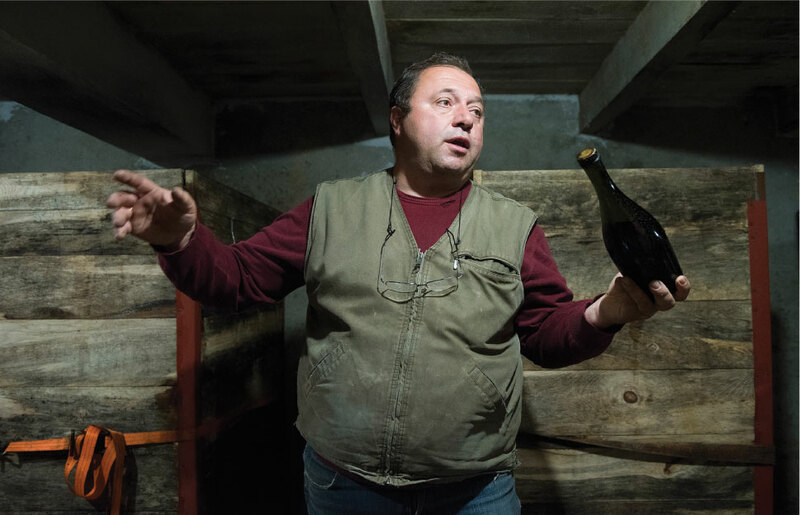 He now also makes sparkling wines and whites which are fermented in the qvevri without skins and seeds.